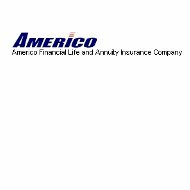 Americo Financial Life and Annuity Insurance Company is not a health insurance company, instead, they are, as the name suggests, a life and annuity insurance company. Americo was founded in 1911 in Kansas City, Missouri and has since acquired 15 other insurance companies to help the company grow. Enter your zip code below and compare health insurance quotes today! Americo has an AM Best rating of A- with a long-term stable outlook. The company currently has $500M in policies in force that financially they are able to pay if all were to come in for a claim at the same time. Americo specializes in products for the elderly, making it possible for older men and women to be able to purchase life insurance policies without being denied. However, their products are available in all 50 states. Americo sells their products through independent agents. The company currently has approximately 13,000 agents around the country selling their insurance products. Independent agents are great for those of you looking for a quote, but do not like quote tools or want to speak to an agent in the process. Remember however, an independent agent is limited by his or her licenses; they do not have access to every insurance company. If you are an independent agent or agency looking to sell Americo products, you can find detailed information online on how to make this happen. You will have to fill out a form to get the appropriate paperwork in order to get started. In order to report a claim with Americo, you will need to call 800-231-0801 as soon as you can. By law, Americo cannot refuse your claim no matter when you file it, however, the sooner you make your claim, the sooner you can get your claim paid. When you submit a claim you will have to submit a claim form that is dated and signed, the form can be downloaded online, as well as the policy number and the insured person’s name. According to Americo, claim payments can be delayed if filed during the contestable period of the policy. They do not really explain what that means, however, it is something that you need to be aware of. If you do not download the claim forms online, you will be delayed by at least two days in filing your claim as that is how long Americo claims that it will take them to provide you with the necessary claim forms. You can also use your independent agent to help you file your claim. This may cause the process to be a little longer, but if you just lost someone you love, having someone else handle these details may be better for you. In addition, Americo offers a performance plus bonus program that is based on both corporate performance and individual’s performance within the company. Possibly the one major downside with this company is their office hours, which are Monday thru Friday 8:00 AM to 4:30 PM. This can be inconvenient for those employed that have to take care of this type of business during work hours. In addition, this also means that they do not have a 24-hour claims or customer service center. Although emergencies though a life insurance company are rare, it is nice to work with a company that has access after normal business hours at the very least. Americo does not offer a quote tool on their website so that you can get quotes for their services. However, you can speak to your local independent agent and get a quote from him or her. In addition, your independent agent will also provide you with life insurance quotes from some of the other insurance companies they represent, if they represent more than Americo. If you are looking for health insurance quotes, then we have another option. Enter your zip code below and get your free online health insurance quotes today. You all need to call me a.s.a.p. 909 734 8449 and leave an email address and send me PROOF OF BILL. I feel and see myself be fucked over by you people. Very pissed off.